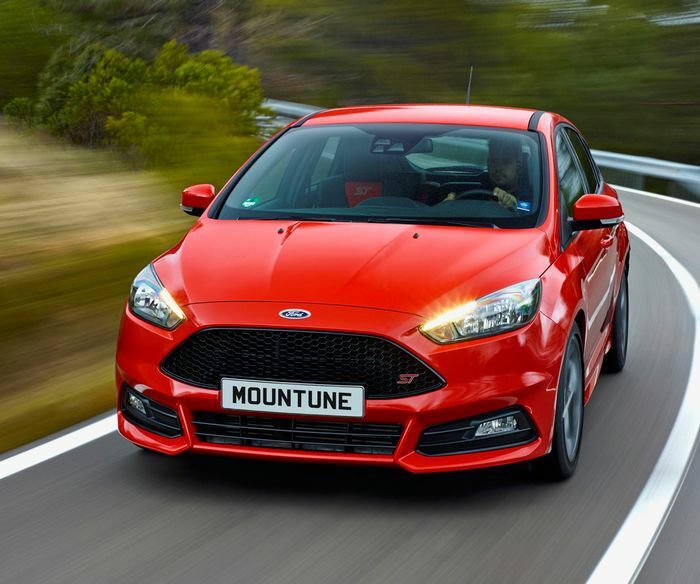 When it comes to the Focus ST, the hooligan petrol version is always our pick, but if the diesel’s fuel economy is just too much for you to ignore, Mountune has some good news. A new upgrade, catchily named the m460D kit, raises the oil-burning ST’s vital statistics by 20bhp and 37lb ft, and it’s simple enough to install yourself. It joins a similar unit released several years ago for the petrol car. 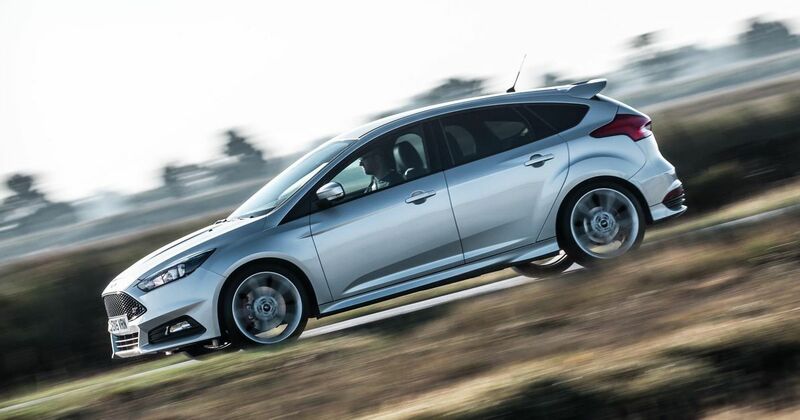 That lifts the fastest diesel Focus’ outputs to 202bhp and 332lb ft. In turn the 0-62mph sprint quickens by 0.7sec to 7.4sec. 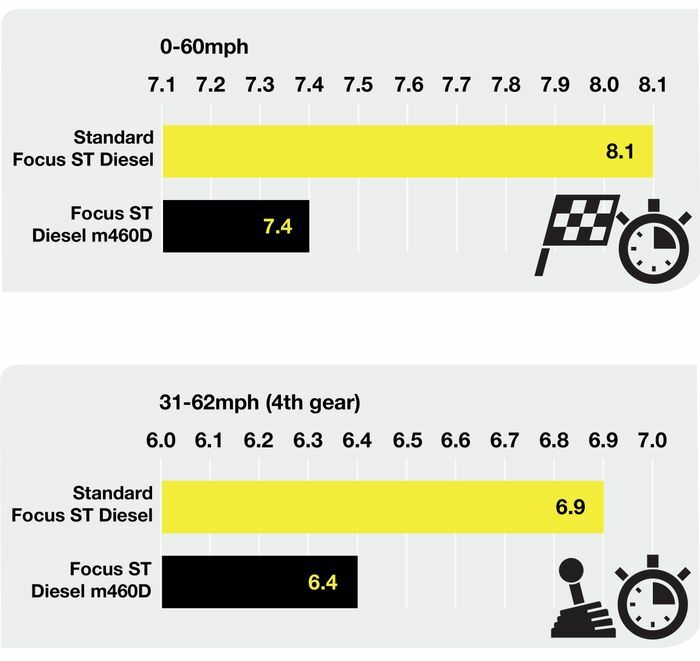 The 31-62mph (in fourth gear) time shrinks by 0.5 seconds, says Mountune. Spanner-wielders with diesel STs will be keen to carry out the handiwork themselves, but there’s a catch. If the work is carried out by Mountune the company can reuse the same cable and dongle, whereas at-home jobs need their own versions. 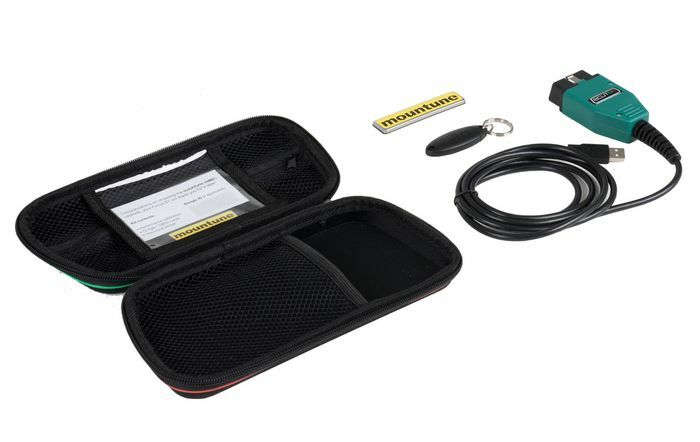 A Mountune installation costs ₤350, but to do it yourself will cost ₤429. The other potential catch is that the boost is only available for cars with manual gearboxes, although we’re not told whether that’s because the auto version’s ECU carries extra software that clashes with the Mountune additions, or whether the gearbox’s reliability would suffer at the hands of the torque boost. 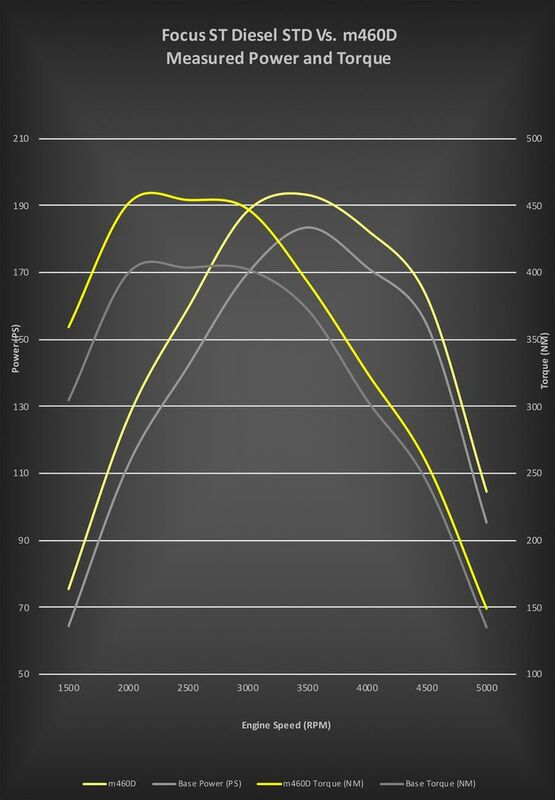 As you’d expect from Mountune, the m460D maintains the correct diesel particulate filter (DPF) regeneration cycle, which is good news because a buggered DPF is not a cheap fix. It’s available now, and for those of you wondering, yes, it does come with the trademark yellow badge to stick on your tailgate.